A recent drunk driver in Boxborough accounted for a 48-year-old man’s sixth drunk driving charge, according to the Boston Globe. Boxborough police said the man was spotted by officers for having an expired inspection sticker on his pickup truck near Massachusetts Avenue just before 11 a.m. in late September. 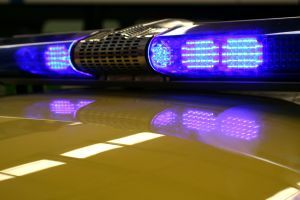 When officers pulled the drunk driver over, they spotted an open beer bottle on the front-passenger seat of his vehicle. They also reported to have detected a strong odor of alcohol coming from the man and his vehicle. Officers administered several field sobriety tests, which the man failed. His blood alcohol concentration (BAC) reading clocked in at 0.09 percent, according to a news story on Boston.com. Our Boston drunk-driving accident attorneys understand that any driver with a BAC of 0.08 or above is considered legally drunk in Massachusetts and nationwide. This is the legal limit because a number of studies have concluded that a driver is unable to drive safely under this level of intoxication. Drunk drivers pose serious threats to motorists on our roadways. When these individuals cause accidents, innocent individuals are injured or die. These accidents are completely preventable. The drunk driver was charged with his sixth drunk driving offense. He was in the U.S> illegally, according to reports, and has since been deported, for the second time, to his home country of Mexico. He will no longer be endangering innocent motorists on our roadways. -Up to 2-and-a-half years in jail. -A license suspension for a year. -Jail time from 30 days to 2-and-a-half years. -A license suspension for two years. In the state of Massachusetts, a driver is considered to be legally drunk if he or she returns a test with a blood-alcohol level of 0.08 or higher. Drivers who are under the age of 21 who are busted with a BAC reading of 0.02 or higher will face a number of administrative penalties in addition to the standard charges of a BAC reading of .08 or higher. Massachusetts practices a zero-tolerance policy with these young drivers and impaired driving. You are given the opportunity to refuse to take a blood-alcohol test or a chemical breath test in the event of a traffic stop. If you do however, the officer you’re dealing with is authorized to take away your license on the spot. According to the National Highway Traffic Safety Administration, there were nearly 11,000 people killed on U.S. roadways in 2009 because of drivers who were under the influence of alcohol. These accidents were so frequent that they accounted for nearly a third of all fatal traffic accidents across the nation during that year. Massachusetts witnessed nearly 200 traffic fatalities caused by an impaired driver in 2009.